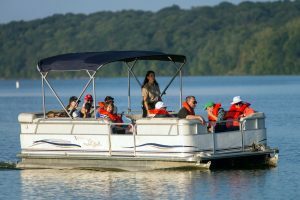 Pontoon Seats are very important parts of your boat, though they can be very costly. This makes it very important that you do your research buying any pontoon seat. You always want to ensure you’re getting the more from your money. There’s a lot of crappy seats which promise to be the highest quality, yet when you receive them, they fail to provide what they promised. You may also just be looking for some pontoon replacement seats. This could be because your seats have been torn up and need replacing, or perhaps you just want a change and want to upgrade your current pontoon seats. I’m going to save you a lot of time, I’ve spent hours of my time and used my years of experience to compile a list of the best pontoon boat seats on the market. I’ll be reviewing each seat and comparing them with the other seats. When purchasing new seats for one of my pontoon boats, there’s a few questions I must ask myself about the product. How comfortable is the seat? What brand is behind this product? These questions all help me evaluate the quality of the seat and give me an idea of how much value for money I’m getting. It’s always important to ensure you’re getting the most out of your money, especially with such expensive products. The brand behind the product is not something which everyone pays attention to, however for me it’s very significant. Different brands operate in different ways, and some are just out to take your money. Whereas others always strive to build their brand with a positive reputation by providing the highest quality products possible. You need to be able to trust the brand. These are the top five brands for pontoon seats which are publicly available. All five of them provide great products, though I’ll be providing a further analysis of their seats and comparing the quality of them. They all provide a wide variety of different seats such as corners and captain seats, however I’ll just be reviewing the bench seats to keep the comparisons fair. This pontoon boat seat by Wise must be my favorite on the market. It can be purchased from online retailer Amazon and delivered straight to your door step in no time for an affordable price. This is one of the highest quality seats you can get for so cheap. This seat comes in multiple different colors, allowing you to customize your boat exactly how you want it. This seat can also be purchased along with arm rests, corner seats and a captain bucket seat. The frame of the seat is built from plastic, which means that there is zero chance of metal corrosion or wood rotting to occur. This is a very strong, durable plastic which does the job well. The seating depth on this seat is 18 inches. That is deep, so expect to sink into the bench a fair bit. This is not something that everyone will be a fan of, however personally I really like this and think it makes the seat very comfortable. One drawback of this product which I’m not too fond of is the fact that it doesn’t have any cup holders. Though this may seem very insignificant, you’ll surely notice it when kicking back on your boat with a nice cold drink and you notice you have nowhere to place your cup. If you really do like this seat and a cup holder is on your must-have-list, then you can purchase one at a little extra expense. Wise have their own stainless dual pontoon cup holder. With the cup holder installed, this is the perfect pontoon boat seat. Wise are a great brand which have far more to offer. Though I’d recommend their premier series seats, they have a great range of other pontoon seats and accessories. Due to all their products being sold on Amazon, you can have them shipped straight to your door-step in a matter of days. Requires Premier Series Base which is sold separately. This is another great pontoon boat seat by DeckMate. Deckmate is well-known brand known for their boat seats and accessories. They make all sorts of different pontoon boat seats. For those wondering, yes, they do also offer matching corner seats. This seat provides “Outstanding Value!”. You for-sure get your moneys worth when purchasing this seat. This is my preferred seat after the Wise Premier Series which I previously reviewed. The seats a very comfortable, each form cushion is built from a mix of dense and soft foam to provide you with comfort and support. Just like the Wise Premier Series seats, the frame is made from 100% plastic which prevents the risk of metal corrosion and rotting wood. The seats back rest bolts down to fully enclosed plastic base and seat cushion hinges in place. All upholstery comes with 3 years PontoonStuff warranty, and lifetime warranty on the frames. You’re getting a great deal with this warranty though I’d recommend that you read into their warranty TOS to identify what exactly their warranty covers. DeckMate promises that their pontoon seats will last. Their seats are made from 30 oz marine grade seat vinyl which is treated coated to exceed industry mildew and UV resistance standards. The life-span of your boat flooring is also protected by the seat bases molded drain channels. These allow water to flow off your deck rather than being trapped on deck and ruining the flooring. Lippert is a well reputed brand which produce more than just marine products and goods. They also provide appliances, electronics, furniture and much more. This is overall a great brand which I’ve never has any issues with. Because of this, I have recommended one of their pontoon boat seats. They have a wide range of different bench seats, with their prices depending on the size of the seat. All their seats are made from marine-grade vinyl which resists UV rays, mildew and mold and are held together with stainless steel frames. This makes for a strong and sturdy bench which should last you many, many years. You can find their seats available on Amazon in three monochromatic colors, being white, grey, and beige. Allowing you to customize the look of your boats interior. This seat features large dry storage area with drainage channels, as well as corrosion resistant fasteners. It’s these features which will not only keep the seat safe, but they’re also good for keeping your pontoon boat flooring in good health. Next on the list are these bench seats by PontoonStuff. One thing I really like about purchasing their products is the fact that they’re both, the manufacturer of the product as well as the seller. This means you are dealing directly with them and not paying any middleman fees. This also means you can get your concerns and questions across directly to them. They do a great job of selling you their products with a detailed product description, multiple pictures and a lovely video highlighting the product itself. This is a feature I really like as it gives you a better view of what you’re buying before you purchase it. This is a very appealing seat which comes in a variety of different colors. This allows you to customize your boats interior to your liking. The pillowed seats have quality double top stitching which provide you with that amazing new boat look. PontoonStuff promise that their seats are made to last, they say that they use the best UV and mildew treated polyester thread in their seats. 30 oz marine grade seat vinyl is treated and coated to greatly exceed UV and mildew resistance standards. Just like the other seats on this list, the base of the seat features molded drain channels to prevent your seat from retaining water. Instead of the water soaking into your decking, it can escape the deck and flow overboard. This increases the life-span of your pontoon boat decking. Bare in mind this isn’t a cheap bench, it’s on the more expensive side. But that’s the price you must pay for such a high-quality seat. Though, a 3-year full replacement warranty is included in the purchase, so you may end up saving a lot of money if something was to happen to it. Though, as always, I’d recommend that you look into the warranty TOS, so you know what exactly you’re covered for. Though I wouldn’t say this is better than any of the other seats on this list, it’s one of the best on the market, which awards it a space on this list. EverythingPontoon is a great brand which specializes in pontoon products. It’s always great when a brand specializes in the sector you’re purchasing from as they are very familiar with “everything pontoon”. There are a wide variety of different colours and colour combinations for you to choose from. I really like how customizable these seats are. You can choose a main colour, as well as an accent colour. This means you can match your seats to the theme of your boat. Just like most the other seats on this list, it has a water-drainage system. This means that water isn’t trapped inside the base of the seat. Instead, the water can flow out of the boat, protecting your pontoon boats flooring. Wedged cushions also assist in draining the water off the seat and prevent the water from forming a puddle. This is a very cost-effective seat which comes at a low-price tag and provides amazing value for money. 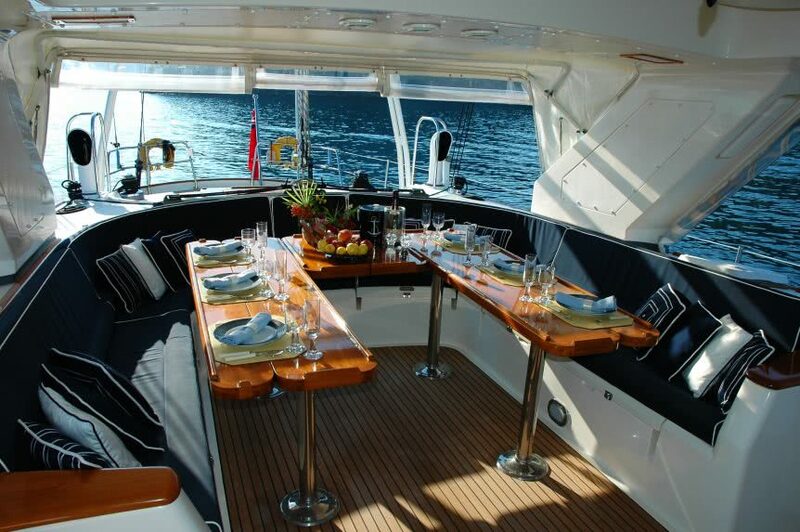 High quality marine grade vinyl is used to prevent mildew and mould. The material is also UV resistant to protect against the rays of the sun. This ensure that your seats last a long time, and therefore are a great investment. Now that’s all five of the best pontoon boat seats on the market. If you have any questions or concerns about any of the pontoon seats, I’ll try my best to reply if you leave a comment. Though, keep in mind that I’m just reviewing the products and don’t work for any of the companies who sell them, so I won’t know the answer to everything. If you have any feedback regarding this article then leave that in a comment also, I’m always looking for ways to improve the quality of these articles. I want to give as much value to the readers as possible.